Mono ethylene glycol ( MEG ) is a colorless, odorless liquid manufactured from reaction of ethylene oxide and water. The main use of mono ethylene glycol is in PET manufacturing industry for fiber and bottle grades. Some small part is also used for antifreeze manufacturing. The global production capacity of mono ethylene glycol was about 33 million tons in 2017. The total production of mono ethylene glycol will increase to about 40 million tons up to 2020 as per the anticipations. The current production volume of mono ethylene glycol in Iran is 1.4 million tons, and it will increase to 3.4 million tons as per Iran government plans. 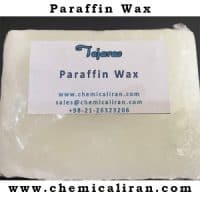 The current mono ethylene glycol manufacturers in Iran include Shazand Arak, Farsa Chemie, Maroun, and Morvarid. As per the local reports, MEG consumption in Iran is about 230,000 MT per annum. The reports show that this volume will increase to about 450,000 MT per annum within 3 years if the government completes the plant projects that consume MEG. Therefore, with a simple calculation we can understand that about 2.5 million tons of mono ethylene glycol can be exported from Iran within the next 3 years. So, it is so important to investigate the global potential markets of mono ethylene glycol. In 2016, Iran exported 400,000 tons of mono ethylene glycol to China. This was only 7% of the import capacity of China. In the same year, all Middle East countries exported 4.8 million of mono ethylene glycol including Iran with 9% share. Import flow of MEG in China will continue for the future years. It is expected that the import volume of mono ethylene glycol in China will be around 10 million tons by 2026. Although, they have their own MEG manufacturing plants, but as they are developing new sites for PET and fiber, they will be still a big importer of mono ethylene glycol. 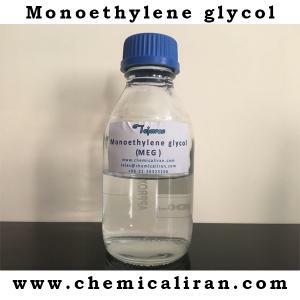 Therefore, there is big potential for export of mono ethylene glycol from Iran to China with the target of around 1.5 million tons per annum in case the manufacturers provide the structure and match themselves with the market. It is necessary to consider the competitors as well. 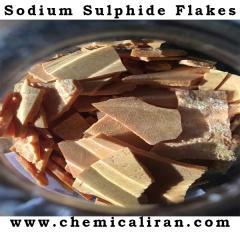 The regional competitors of Iran for export of mono ethylene glycol are Saudis and Kuwait. The investigations show that they will in total export 7 million tons of MEG within 3 years. The trans-regional competitors also include USA that is exporting 900,000 tons of MEG per annum. But these figures will change to 3 million tons per annum by 2026. Tejaras Co. believes that although Iran manufactures 3.5% of total mono ethylene glycol of the world at the present time, and Saudis are producing 6 million tons of MEG, about 24% share of the global production, but in the coming years, Iran can increase the production capacity up to 3.4 million tons if the government completes the due projects. It is necessary to attention to this point that the market structure will change drastically in the short term future. There will be big competition among mono ethylene glycol manufacturers. Therefore, market investigation and market research should be among top priorities of the Iranian manufacturers in the petrochemical industry.